W.V.  DAVIES, « Readings in the Story of Sinuhe and Other Egyptian Texts », JEA 61, 1975, p. 45-53 1 citation(s). W.V. DAVIES, A royal Statue reattributed, BMOP 28, 1981 3 citation(s).